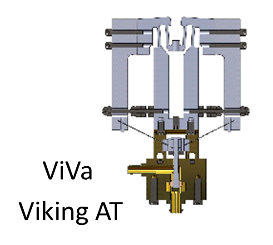 ViVa’s range of displacement and available force provide real time solutions to industrial applications such as valves, grippers and linear motors, and consumer applications such as valves, tools, locks and speakers. With the conventional drive, these devices have many shortcomings, i.e. they are large, heavy, consume high amounts of power, and provide only limited proportionality. ViVa® overcomes these shortcomings by providing high displacement with precise control. Take a look at the video to the right for a preview of First Generation ViVaTM and download our ViVa informational PDF.